Fred First is an Alabama native with masters degrees in the health care and natural science fields. For more than four decades, he has been an active biology-watcher and teacher as natural limits and ecological boundaries are ignored--often in the name of profit and power. He has come to believe that reconciling essential but broken relationships--to nature, to place and within our human and non-human communities--must be the chief focus of our energies if we are to leave a legacy of hope and healing for those who come after us. Towards that end, he frames the world "in words and pixels" through his writing and photography with the hope that we might see the ordinary and our place and impact on the world around us with new eyes--a renewed knowledge of belonging that he calls our "personal ecology." 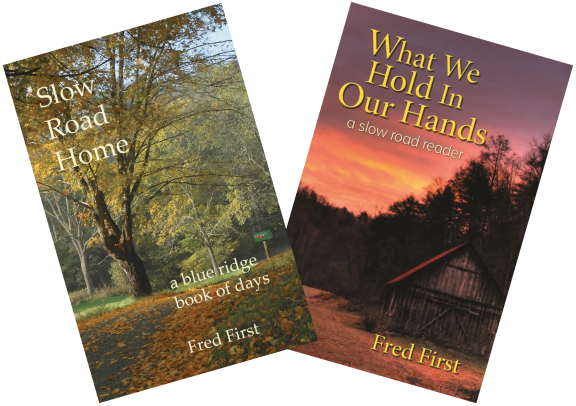 Fred is author of two books that embody this world view--Slow Road Home: a blue ridge book of days (2006), and What We Hold In Our Hands: a Slow Road Reader(2009). More than 30 of his essays have been aired by the local National Public Radio Station, WVTF. He shared a free-ranging, regular column for the Floyd Press and Roanoke's Star Sentinel for seven years. 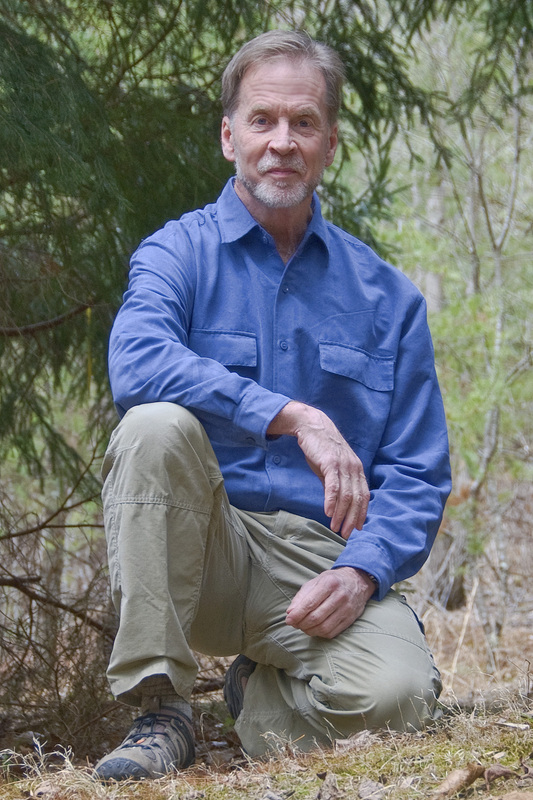 His landscape and nature photography has been featured in Blue Ridge Country Magazine, Smith Mountain Laker Magazine, Appalachian Voice and elsewhere. His blog, Fragments from Floyd, has been a window into his vision and thought since 2002. Fred and his wife, Ann, have lived in the outback of Floyd County since 1997--a destination to which they now realize they had been moving all their lives. A third book, One Place Understood, is underway, and new images are revealed--and some photographed--as long as there is light.